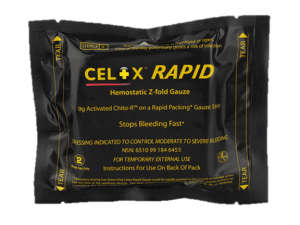 Celox Rapid is the fastest acting hemostatic gauze available. It stops severe arterial bleeding with only 60 seconds compression. NTOA RECOMMENDED. Clots blood treated with blood-thinning drugs (Heparin, Warfarin or Coumadin. Celox is easily removed from the wound and residual material is naturally absorbed by the body. Celox Rapid. The fastest acting hemostatic gauze. Celox blood clotting granules are actually very high surface area flakes. When they come in contact with blood, Celox swells, gels, and sticks together to make a gel like plug, without generating any heat. 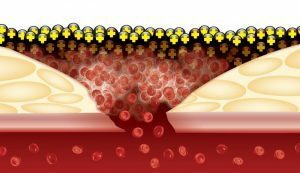 Celox blood clotting agent does not set off the normal clotting cascade, it only clots the blood it comes directly into contact with. 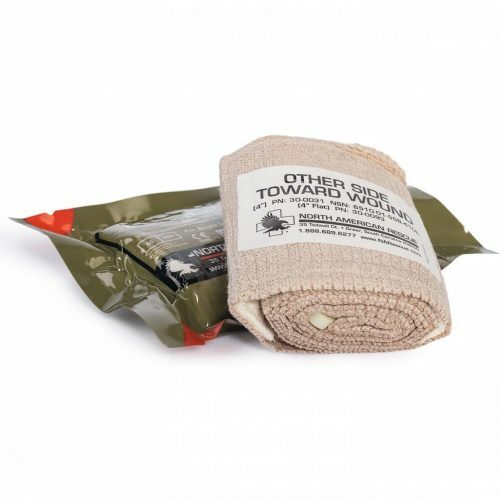 Stops hypothermic bleeding as found in severe traumatic injuries. 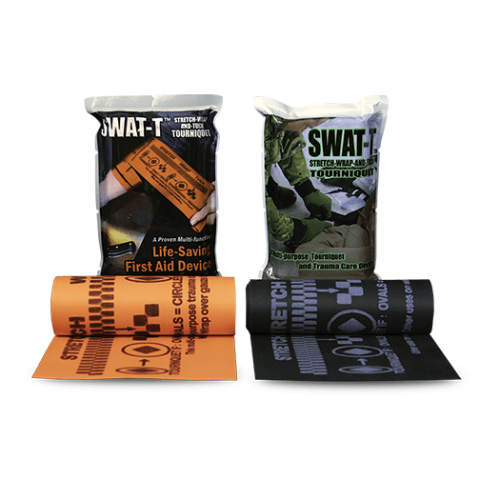 Time is critical when treating severe injuries in the field and saving time increases the chance of survival for the casualty in an emergency or hostile situation. To be effective in real use, hemostatic dressings need to work fast. 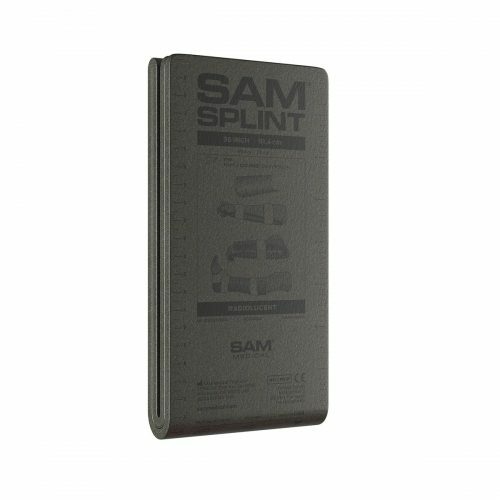 The current generation of hemostatic agents need at least 3 minutes of compression to work. Celox Rapid gauze removes the delay by speeding up packing time and reducing compression time to just 60 seconds while using the proven hemostat technology of Celox.